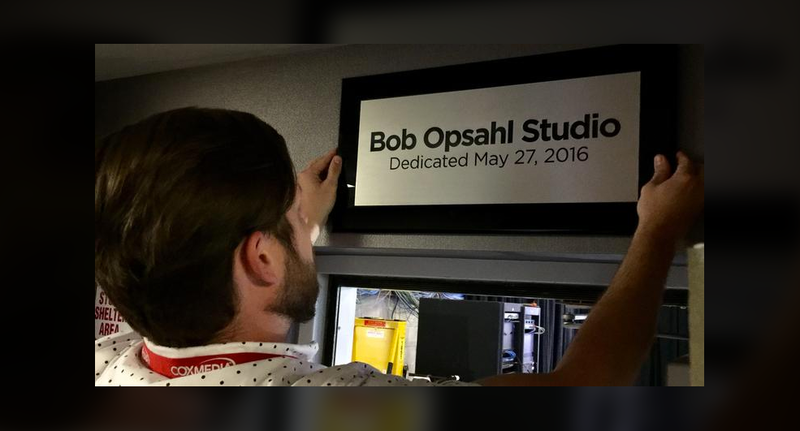 WFTV-TV, the Cox Media owned ABC affiliate in Orlando, Fla., has named its main news studio in honor of now retired anchor Bob Opsahl. 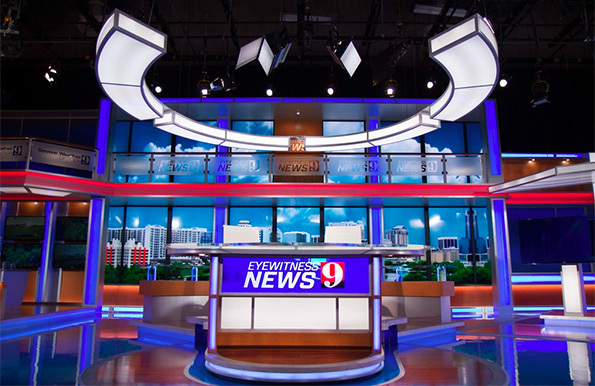 The studio, which includes a large set from Z Space Creative, debuted in August 2015 when Opsahl was still anchoring at the station. Opsahl, 66, retired from the station at the end of May sweeps, having spent 38 years at the station. His tenure at the anchor desk was longer than any other anchor in the market. He signed off May 25 and the station dedicated the studio in his honor at his retirement dinner. WFTV-TV has installed a plaque above the studio door, which appropriately uses the font from its new graphics package.